Shea butter has many potential benefits for hair and skin including moisturizing, anti-inflammatory, and anti-aging effects. A study found that applying shea butter to skin can help treat eczema. Shea butter is also very moisturizing for the hair and scalp. People with curly and coarse hair textures benefit from using shea butter as a sealant to keep moisture in their hair and increase softness. Another study found that shea butter helps your skin react less to irritants. Researchers believe this is because shea butter contains the chemical compound amyrin, which has well-documented anti-inflammatory properties. Several studies have found that shea butter helps cell regeneration, minimizes signs of aging, and boosts collagen. Many of these benefits are also attributed to amyrin. Shea butter also has a lot of potential in the hair care world. 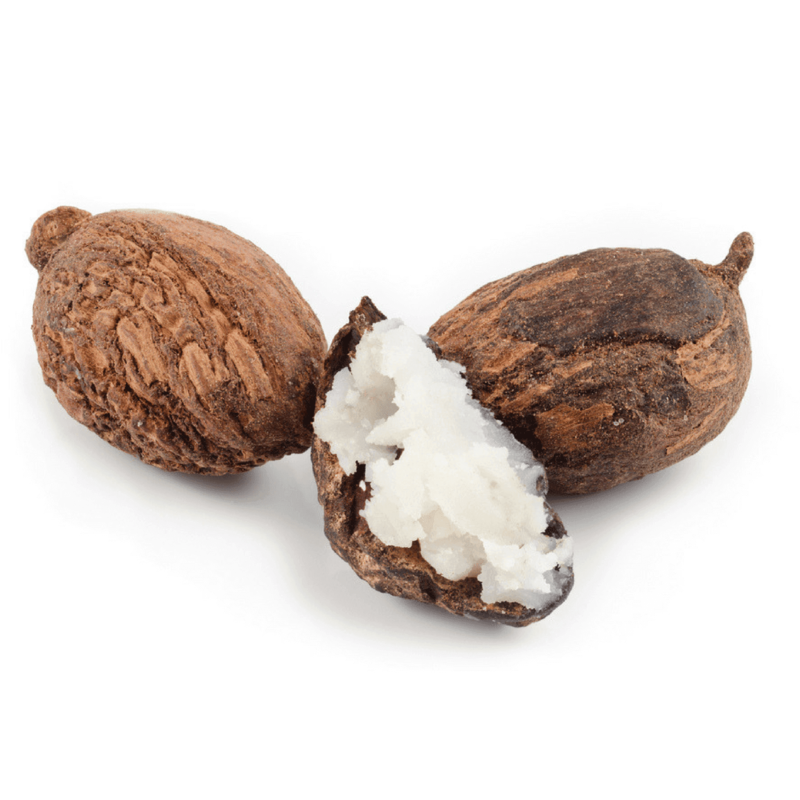 The fatty acids in our shea butter also help increase shine and reduce the frizz of your hair. It may also help protect hair from heat damage caused by flat irons and blow drying. Shea butter’s anti-inflammatory properties might also help reduce redness and scalp irritation by providing healing effects without clogging the pores. Additionally, as a natural product, it’s safe to use on all types of hair, even hair that’s damaged, dry, or color treated.